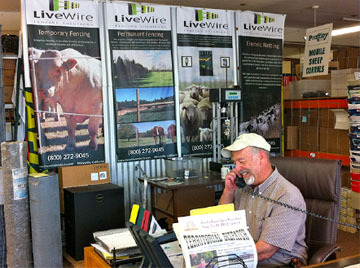 Live Wire Products began in 1976 in a small hay barn in Rough and Ready, California. Jack and Nancy Henderson moved the business to Marysville, California and became one of the first to pioneer the new concept of low impedance electric fencing controllers and high tensile smooth wire fencing. Jack and Nancy responded to the industry’s request for a low cost method to contain livestock and manage pastures. Jack and Nancy relocated their business to PENN VALLEY, CA. Receive Personal Advice From the Electric Fencing Experts! 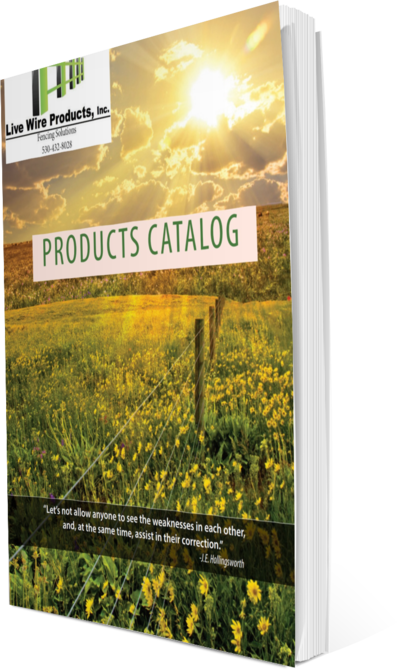 Live Wire customers can expect to receive personal and professional advice on any question related to electric fencing and pasture management. For over 40 years, Jack Henderson has hosted numerous industry fencing seminars for university field days, county extension advisers, livestock association groups, and private ranches, to help educate large producers along with hobbyists, on how to use and install electric fencing correctly and efficiently. Every phone call to Live Wire Products is met with a friendly, knowledgeable associate with personal experience in the fencing industry. True Pioneers in the Electric Fencing Industry! Live Wire Products, Inc began in 1976 in Rough and Ready, California. Live Wire Products was the first distributor of New Zealand style fencing in the United States. 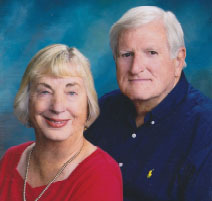 Prior to 1976 Jack and Nancy Henderson owned and operated a small hardware store and traditional fencing business for eleven years in Grass Valley. As true pioneering entrepreneurs in Nevada County, they were presented the chance to sell the original business, which then afforded the opportunity to begin Live Wire Products. Marysville, California was selected for the new site in 1989 (following the huge 49er fire which burned all the business outbuildings.) But, in 2015, Jack and Nancy had the opportunity to move their business back home, where Live Wire Products Inc. is now open for business in Penn Valley, CA. We can truly call Nevada County home for our business. The new concept of low impedance electric fence controllers and high tensile smooth wire fencing offered a low cost method to contain livestock and manage pastures. For the U.S. market it became a defense from predators, especially when depredation dollars ran short. The new low impedance technology made it possible to send the voltage effectively to the end of the fence. This began a fencing revolution in the sheep industry. Over the years and many miles later, the basics remain the same. Jack and Nancy Henderson have helped contain every livestock species—and in particular sheep. In addition, they have worked with western State legislatures’ to ensure the products manufactured and sold are within the parameters of all new safety laws. The Henderson’s strongly believe in working cooperatively and supporting the beef and sheep industry within California as well as across the United States. They have been supporters and donors to the American Sheep Industry (ASI), California Wool Growers Association, as well as California FFA. They are quick to donate product to scholarship fundraisers in their local communities.